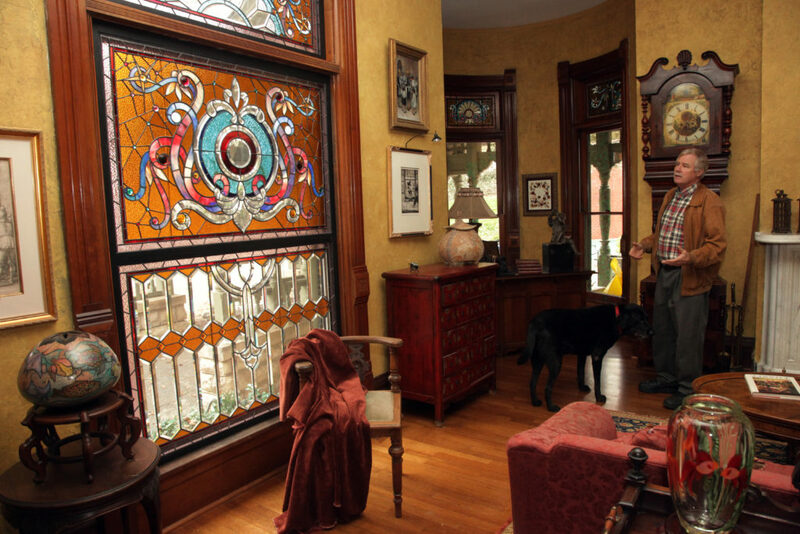 owner Terry Riordan talks about the Tiffany stained glass windows and ornate fireplaces in the Ludington-Thacher House at 1613 Tenn. The Ludington-Thacher House, at 1613 Tenn., is owned by Terry and Elaine Riordan, who have spent countless hours and resources restoring the 1800s home. There are a lot of incredible homes in Lawrence. Grand Victorians that sit along brick-lined streets in Old West Lawrence and modern structures sprinkled among more traditional residences. These homes capture the imaginations of those who pass by and seem to transcend the lives of those who occupy them. 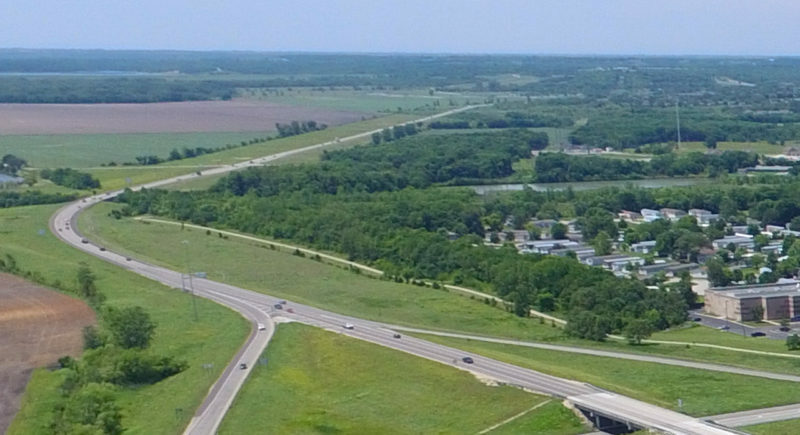 Nowhere is that more true for me than the home at 1613 Tenn., and every time I find myself driving down Tennessee, I must slow down long enough to catch a glimpse. I think of it as the “Maupintour Mansion” after its previous owner, Tom Maupin, founder of the Lawrence-based travel agency, but the home’s proper title is the Ludington-Thacher House, after its earliest owners. Other than its name, though, there is little consensus about the home’s early history. 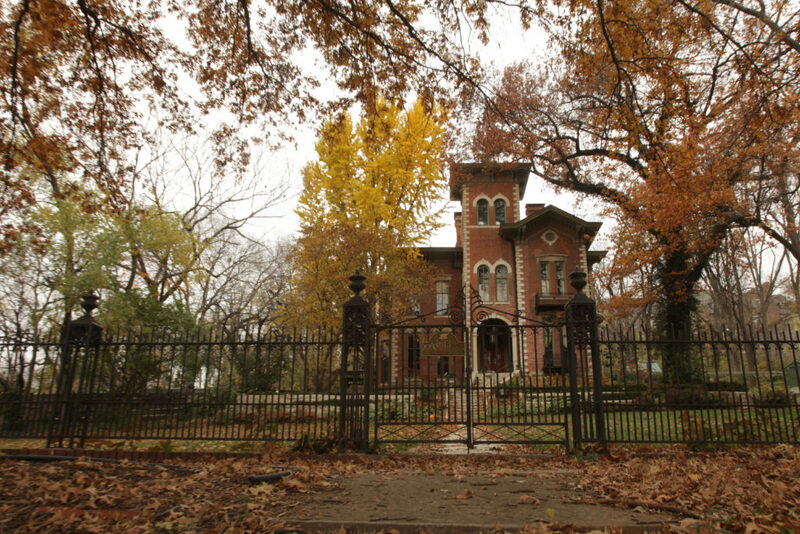 Some accounts assert that the original structure was built in 1860 by well-known architect John Haskell, and that it survived Quantrill’s 1863 raid. Other reports suggest that Reuben Ludington didn’t purchase the land until 1869, and that T.H. Lescher was the architect. Whatever its early history, there is no disputing that from the very beginning, the home was a showpiece with its Tiffany glass windows, embossed leather wainscoting and solid bronze fixtures. 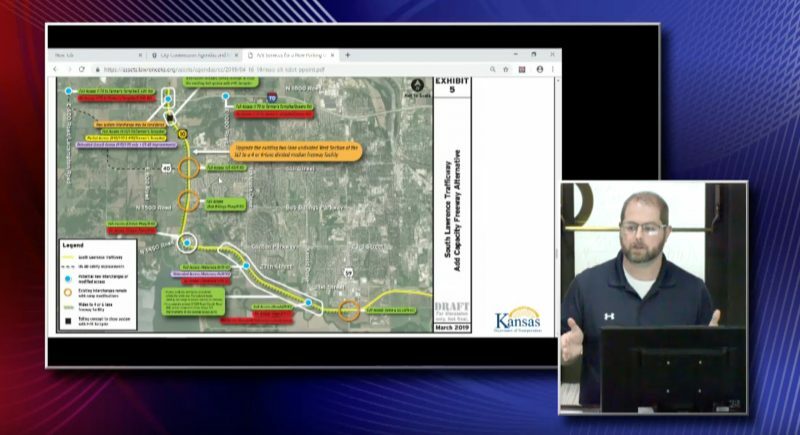 It was also the first home in Lawrence to have running water, made possible by water storage tanks in the attic and gravity. An early owner and resident of the house was the prominent jurist Solon Thacher, chairman of the Wyandotte Committee that wrote the Kansas Constitution. Thacher was also appointed ambassador to Mexico and South America by President Chester Arthur. It was while Thacher served as ambassador that his son-in-law oversaw a $13,000 addition to his residence that included the domed turret tower on the southwest corner and an ornately trimmed porch. 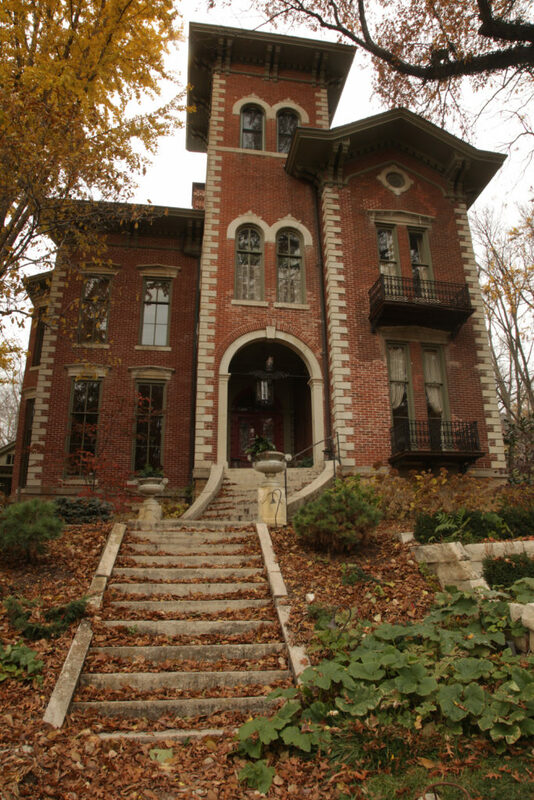 The addition is more Victorian in style and contrasts with the Italianate style of the original structure. Thacher was reportedly so incensed with the workmanship of the addition that he paid only after threat of lawsuit. Thacher died in 1897, and the home remained in the family until 1940 when his grandson, Solon Emery, lost it to back taxes. The home’s original furniture, chandeliers and many of its gas fixtures were auctioned off to pay the $15,000 bill. Paul Snyder, a professor in Kansas University’s music department, lived in the house throughout the 1940s and ’50s with his wife, Mary. The couple added a greenhouse in the back and updated the kitchen. By the time Maupin purchased the home in 1960, it needed attention. He and his business partner, Neil Mecaskey, undertook major renovations to the home, which included a roof and the addition of marble fireplaces, one of which is from St. Louis’ Taft Hotel where President Lincoln once stayed. It was during Maupin and Mecaskey’s tenure that the property was added to the National Register of Historic Places, and the two filled the home with treasures from their travels: artwork by Picasso, Chagall, Dali and Toulouse-Lautrec, and chandeliers from Czechoslovakia. When it went on the market in the mid-1990s, Terry and his wife, Elaine Riordan, couldn’t resist the opportunity to see it. From the very beginning, the Riordans seem to have understood the different kind of relationship they would have with the home. This was the attitude they displayed in 1999 when they vacated their home for six months to make it available as a Designer Showcase. It’s also the attitude they have taken in overseeing the structural repairs necessary to ensure that the house will be around for future generations. The Riordans’ understanding of their home’s significance to the community is no better illustrated than in the story of Eric Degenhardt and Shelly Pearse. Degenhardt wrote the Riordans to tell them about Shelly — and to ask if he could propose to her in the home. “It was the sweetest letter,” Elaine Riordan said. On a recent weekend, the Riordans welcomed Eric and Shelly into their home, where the couple walked up into the tower, and Eric got down on his knee to ask for Shelly’s hand. My guess is that this home will continue to be special, not only to the Degenhardt family, but to all of us who live in Lawrence.